Ozhotels is a group of independently owned and non-related hotels, motels and serviced apartments located across Adelaide, Australia. Ozhotels allows you to deal directly with the hotels / apartments giving you the best possible accommodation rates for these Adelaide hotels. Book online directly with the hotels and save save save!!! The city of Adelaide has a wide variety of accommodation for visitors to choose from with an complete range of fully self contained serviced apartments, hotels, motels and unique B&Bs. This extensive choice makes finding the right place that suits all of your needs quite a difficult and time consuming task. This is where an accommodation expert like OzHotels is very useful. They allow you to compare hundreds of different properties that are situated all over Adelaide, in order to find the one that meets your requirements and your particular travel budget. The main advantages of booking online with OzHotels is that you can book your travel up to 12 months in advance and that you will be able to get an extra discount off the already cheap rates the longer that you stay. So the next time that you are taking a business trip or holiday in Adelaide you can save yourself lots of time and money by booking directly with OzHotels. The Playford Apartments Adelaide is one of Australia's multi award winning 5 star boutique hotels and was voted 'Best Luxury Hotel' in South Australia at the South Australia Tourism Awards from 2001 to 2006. Guests will appreciate the personal touches that set The Playford Adelaide apart from ordinary hotels, starting with the warm welcome when you first walk into the hotel. The Playford Apartments Adelaide has an extensive range of leisure facilities including sumptuous dining and boutique wines in the Playford Restaurant, fully equipped 24 hour business centre and 24 hour health club and swimming pool. 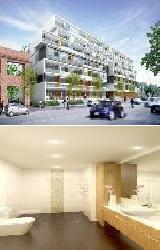 These is also high speed broadband internet access available in every one of these Adelaide apartments. Every aspect of this luxury Adelaide accommodation has been designed with the comfort of the guest in mind, including the modern hotel facilities and state of the art in room technology. Located in the busy and vibrant West End district of the Adelaide city centre the Breakfree Adelaide Apartments (formerly the Breakfree on Hindley) provides quality affordable apartment accommodation close to most of Adelaide's major attractions including Rundle Mall shopping, Hindley Street restaurants, cafes & nightlife, Adelaide Casino and the Adelaide Convention Centre. With 142 studio and two bedroom apartments set amoungst the emerging arts district of Adelaide the Breakfree Adelaide Apartments also offers guests luxury hotel facilities including the Glaze restaurant & bar, business facilities, swimming pool, tour desk, 24 hour reception and daily housekeeping. The La Loft Apartments in Adelaide features numerous self contained accommodation apartments and townhouses in a variety of city locations. North Terrace is a fantastic place to stay in Adelaide because it places you opposite the Adelaide Casino, Adelaide Convention Centre, Adelaide Train Station and beautiful parklands as well as being only a short walk away from the Adelaide Oval, Rundle mall shopping, cafes and restaurants. The Unley apartments are ideal for relocations and long term stays, whilst the apartments in Parkside are just 2 kms from the city centre. The La Loft Apartments provide a range of spacious 1 & 2 bedroom apartments as well as luxury penthouse apartments, complete with a wide range of guest services to ensure that your stay is both comfortable and memorable. All of the La Loft apartments have been designed for both business and leisure travelers looking for quality accommodation at a realistic discount prices. The Mantra on Frome Apartments Adelaide are ideally located on Frome Street on the heart of the Adelaide CBD. These well appointed, spacious serviced apartments provide ideal place to stay for both corporate travellers and families looking for an extended stay in Adelaide. All of Adelaide's major attractions are situated close by including the Adelaide Casino, Rundle Mall, theatres, restaurants and cafes. The Mantra on Frome Apartments Adelaide feature a fully equipped kitchen, fully furnished dining and living area, laundry facilities, air-conditioning, broadband internet access and a telephone with voicemail. 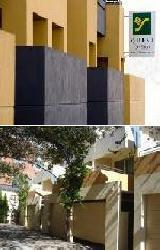 Self contained apartment accommodation in Adelaide offering great online discount rates. When staying in Adelaide you will find that the Oaks Apartments is an ideal choice because it has a number of well appointed accommodation properties that are located either in the Adelaide CBD on North Terrace directly opposite the Adelaide Convention Centre or in the seaside suburb of Glenelg. The Oaks Apartments is a popular place to stay for both leisure and corporate travelers when visiting Adelaide because they are surrounded by a number Adelaide's finest restaurants, shopping precincts and major city attractions. 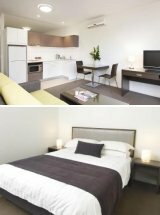 This contemporary Adelaide accommodation offers well appointed studio, 1, 2 and 3 bedroom apartments that have all of the facilities that you would expect of a world class 4½ star property, including broadband internet, Foxtel, air-conditioning, spa bath, balcony and a fully equipped kitchen and laundry. To complement your luxury Adelaide accommodation there are also other leisure facilities at the Oaks Apartments in order to make sure that your stay in Adelaide is both memorable and enjoyable. Mansions on Pulteney is a great alternative to traditional budget hotels, offering guests Adelaide accommodation in spacious heritage style apartments for the same price. Mansions on Pulteney is conveniently located in the heart of the CBD, between North Terrace & cosmopolitan Rundle Mall with its variety of cafes, restaurants and boutique shopping. The 100 year old building creates a beautiful setting for this boutique Adelaide property and provides guests with the ideal place to stay in the city for short business stays, relocations and family holidays. Mansions on Pulteney is located close to the Universities, Royal Adelaide Hospital, Botanic Gardens, Adelaide Zoo & provides easy access to the commercial hubs of Adelaide. Recently refurbished this historic accommodation in Adelaide building boasts many original features including high ceilings and spacious rooms ith most apartments featuring private balconies. To accommodate professional needs, each apartment at the Mansions on Pulteney includes wireless internet access as well as providing that ultimate home away from home experience. The Majestic Apartments and Hotels in Adelaide provide a convenient place to stay because they have a number of different properties for guests to choose from. 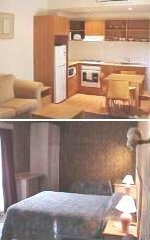 There are a range of studio, 1, 2 & 3 bedroom self contained apaartments which are spacious and fully self contained, as well as a variety of different hotel rooms to meet the budget needs of all travellers. This quality North Adelaide accommodation is conveniently positioned in quiet locations close to an array of cafes, restaurants and shops, as well as being only a few minutes drive from the Adelaide CBD and Rundle Mall. 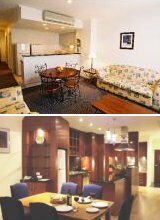 The Majestic Apartments and Hotels are an ideal Adelaide accommodation from which to explore and enjoy the delightful surrounds, wonderful shopping and many sights of Adelaide. 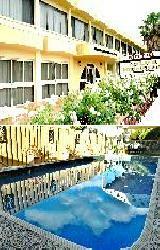 These stylishly apartments and hotels are perfect for leisure guests, corporate business travellers, groups & families. The Mercure Grosvenor Hotel is ideally situated in the heart of the Adelaide CBD, opposite the Adelaide Casino, Convention and Exhibition Centre and the performing arts complex. This Adelaide hotel is also only 3 kms from the Adelaide Botanical Gardens and Adelaide Zoo, and within easy walking distance to numerous restaurants and cafes and the boutique shopping available in Adelaide's famous Rundle Mall. The Mecure Grosvenor Hotels superb location makes it the ideal place to stay for both leisure and corporate travellers needing to stay in the Adelaide CBD. A prominent 1920's Adelaide landmark the Mercure Grosvenor Hotel Adelaide has been upgraded over the years to a 4 star international hotel with modern facilities and comforts. Our desire to provide real value for money Adelaide accommodation is reflected by the choice of either budget economy and quality standard hotel rooms at the Mercure Grosvenror Hotel. The reputation of this international standard Adelaide hotel was founded on the premise of warm, friendly, unobtrusive and attentive service. Quest on King William is the ideal base from which to explore South Australia's tourist attractions including the Barossa Valley, McLaren Vale and Kangaroo Island. 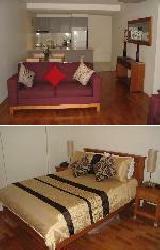 It is a spacious apartment hotel that is housed within the heritage listed T&G Building in the heart of the city. This discount Adelaide CBD accommodation is just a pleasant walk from the business precincts, Rundle Mall shopping and entertainment areas of the city. Also close by are the Adelaide Central Markets, Sky City Casino, Convention Centre, Festival Centre, Museum and Art Gallery of South Australia and Adelaide Oval Cricket Ground. The convenient location of this Adelaide accommodation makes it ideal for both the business and leisure traveller who are after a quality alternative to traditional hotel or motel rooms. With a choice of spacious studio, 1 and 2 bedroom self contained apartments and a wide range of hotel style facilities and services the Quest on King William is sure to satisfy your every needs. 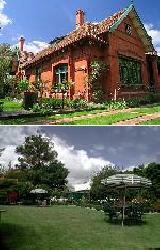 The Buxton Manor Apartments is a glorious, large Mansion built in 1908 in the William Morris arts & craft theme of decorative red brick with steep sloping roof lines and beveled diamond shaped, lead lighted windows, surrounded by half an acre of beautifully manicured, welcoming gardens with masses of old fashioned scented roses, cottage flowers and sweeping lawns. 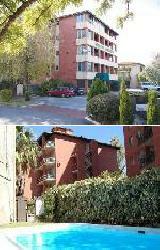 The Buxton Manor Apartments provides all types of travellers with discount accommodation in North Adelaide. It also features a wide range of modern amenities and services such as direct internet access, faxing facilities, free car parking, guest laundry, room service, spa, tour desk, bbq, garden, 24 hour reception and baby cots available. On a warm, sunny day sit out in the half acre of gardens and enjoy reading a book or glossy magazine from the extensive private library and for those cooler nights cosy up to the warm open fires provided for a romantic weekend away you will never forget. Of a night time try to hear and spot the possums that sometimes scatter amongst the trees. Located on Premier quiet North Adelaide Residential Street, The Buxton Manor Apartments are close to Adelaide's top restaurants, pubs, cafes and nightclubs. The Seawall Apartments gives travellers the choice of fully self contained studio, 1, 2 and 3 bedroom serviced apartments that are perfectly positioned on the tree-lined, traffic-free Glenelg street right next to the beautiful Glenelg Beach. 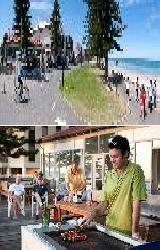 The Seawall Apartments provides all types of travellers with discount accommodation in Glenelg. It also features a wide range of modern amenities and services such as free car parking, guest laundry, spa and bbq facilities for guest use. The Seawall Apartments Glenelg cater for business corporate travellers with free Wifi access in all apartments, faxing facilities and photocopying services. The Seawall Apartments Glenelg is ideal for a family holiday, a romantic getaway, reunions, group holidays or a business stay that is comfortable and relaxing. The exclusive range of fully furnished studio, 1 and 2 bedroom apartments at the Adelaide DressCircle Apartments are superbly located in the Adelaide City and North Adelaide areas. This uniquely individual Adelaide accommodation will provide business executive and families on holidays with a special home away from home environment. 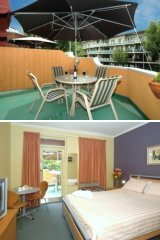 Thoughtfully furnished and equipped for an extremely comfortable short or long term stay the Adelaide Dresscircle Apartments has excellent rates to suit all budget needs. These luxury Adelaide apartments are conveniently located in the Central Business District and North Adelaide areas and are only in walking distance to major shopping precincts, restaurants, public transport and nightlife entertainment. 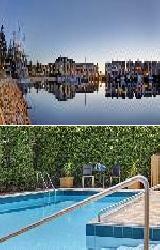 The resort style facilities at the Adelaide Dresscircle Serviced Apartments inlcude a swimming pools, spa, sauna, gym, car parking and a friendly, professional and individual service to assist your stay in the beautiful city in Adelaide. 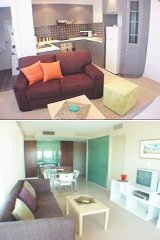 Great value Adelaide serviced apartment rental accomodation with discount rates available for the budget consciuous holiday and business traveller. The budget conscious traveller will really appreciate the South Terrace Motel Hotel. It provides comfortable motel style rooms with a range of excellent services and facilities and all just a short stroll from the Adelaide CBD and shopping areas. The South Terrace Motel is ideally located overlooking beautiful parklands and features excellent facilities and warm friendly service that will make you feel right at home. Guests staying in this discount Adelaide accommodation can make the most of the hotel facilities which include an outdoor swimming pool, children's wading pool, internet access, 3 function rooms, free car parking, a la carte restaurant, bar, guest laundry, jogging track, secure key card locks and in-room safes. The South Terrace Motel is also ideal for families, with a playground and huge BMX track located opposite the hotel. 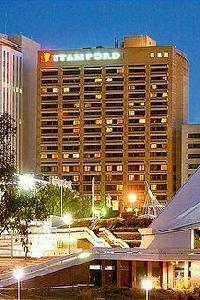 The elegant Stamford Plaza Adelaide is ideally located in the heart of the Adelaide city opposite Parliament House and just a short stroll from the Adelaide Convention Centre, Sky City Casino, Festival Centre, Rundle Mall, River Torrens, historic parklands, cinemas and boutique shopping. Stamford Plaza Hotel is one of the city's leading luxury hotels catering to a mix of business and leisure travellers. 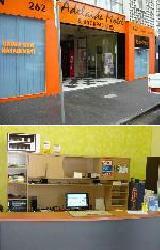 This quality Adelaide accommodation is renowned for providing service that is exceptional in every sense. The hotel has 19 guest floors that are spacious and contemporary designed, many of which overlook the beautiful churches and parklands of the city. The Stamford Plaza Adelaide hotel features three restaurants and two bars with regular live entertainment, as well as recreational facilities including a rooftop heated swimming pool, spa, sauna and gymnasium. The Adelaide Princes Lodge Motel prides itself on providing clean and comfortable budget motel accommodation for singles, couples, families, groups and corporate business travellers alike. Centrally located close to the Adelaide CBD, The Princes Lodge Motel is a 5 minute walk from North Adelaide's cafes, restaurants and bars. The Princes Lodge Motel in North Adelaide is close to everything that the city has to offer, as well as having a numerous guests facilities and services including faxing facilities, free car parking, guest laundry, bbq, daily housekeeping, free cot hire, free wifi throughout, luggage storage, photocopying services and non-smoking rooms. The Princes Lodge Motel, North Adelaide is only a short distance away from the Royal Adelaide Zoo, Adelaide Botanic Gardens, Adelaide Oval, Art Gallery of South Australia and Adelaide Festival Centre. The Miller Apartments Adelaide are superbly located just metres from Adelaide's renowned Rundle Mall and is a stylish new Adelaide accommodation consisting of 1, 2 & 3 bedroom fully self-contained apartments. Located just a short stroll from Adelaide's notable attractions such as the Sky City Casino, Rundle Street and Gouger Street precincts the Miller Apartments Adelaide is ther perfect base from which to explore all that the city of churches has to offer. Ideal for short or long term accommodation the Miller Apartments Adelaide have been stylishly furnished apartments and feature a fully equipped kitchen, separate living area, broadband internet access, cable TV, writing desk and individually controlled air conditioning systems. These Adelaide apartments have an environmentally friendly approach ensures your smoke-free apartment becomes a haven for rest and relaxation during your busy schedule. Also the Miller Apartments Adelaide has a fully equipped gym, business centre and secure car parking available for use by guests. 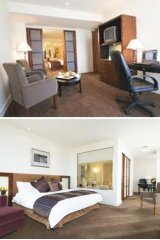 The Grand Chifley Hotel offers luxury Adelaide accommodation of superior quality and is conveniently located opposite the picturesque South Terrace Parklands. This quality hotel accommodation in Adelaide has recently undergone an extensive refurbishment of the entire property, which makes it a great place to stay for you next trip to South Australia's capital. Guests will love being so close to the Central Business District but still in an environment that is peaceful, welcoming and calm. The Grand Chifley Hotel caters to a broad mix of travellers, including corporate and leisure guests. The Grand Chifley Adelaide features guest rooms within a hotel environment that is in harmony with it's parkland location. Grand Chifley Adelaide extends a warm and friendly welcome to travellers. The Hotel Old Adelaide has a prominent position amongst the many restaurants, cafes and shops of Adelaide's trendy O'Connell Street. With its delightful colonial-inspired surroundings the Hotel Old Adelaide is positioned in a quiet location which is close enough to experience all that Adelaide has to offer. Also located close to this budget Adelaide accommodation is the Aquatic Centre, Adelaide Oval, Adelaide Convention Centre, Memorial Drive Tennis Club, Festival Centre, Women & Childrens Hospitals and Rundle Mall in the Adelaide CBD. Both corporate business people and guest staying in Adelaide on holiday will love the central location and old world charm provided by the Hotel Adelaide. 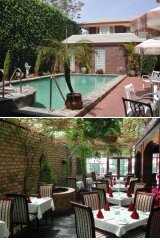 The Peppers Waymouth Hotel is Adelaide's leading deluxe hotel and is perfectly located in the heart of the Adelaide CBD. This elegantly appointed hotel offere a range of opulent hotel rooms and suites and seemlessly combines the sophistication of contemporary design with the highest standards in personalized service. The luxury 5 star hotel rooms and suites at the Peppers Waymouth Hotel feature the latest in-room facilities and services including king size beds, in-house movies, air-conditioning and stylish Italian marble bathrooms. 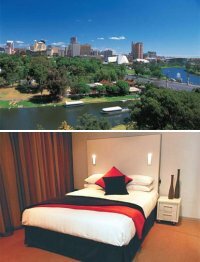 Some of the executive hotel rooms also feature a spa bath and private balcony with views over the Adelaide city. At the Peppers Waymouth Hotel there is also an indoor swimming pool, sauna, spa, restaurant, bar, room service, valet car parking and conference facilities with all of the latest technology. 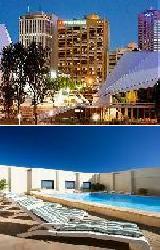 The Adelaide Meridien Apartment Hotel offers a choice of rooms which will suit both corporate & leisure travellers. It is ideally located 1.5km from the city centre in fashionable North Adelaide, which is within walking distance to the city, parklands, the Zoo, boutique shops and the Adelaide city's East End. The revamped Adelaide Meridien offers an exciting range of guest facilities and services to suit all travellers including meeting facilites, business facilities, an outdoor swimming pool, undercover spa, sauna and steam room, free secure car parking, 24-hour reception, licensed restaurant, cocktail bar, guest laundry, tour desk and daily housekeeping. The Adelaide Meridien offers a choice of accommodation rooms which makes it the perfect choice for your next stay in Adelaide. Stamford Grand Adelaide is a luxury resort style hotel located on the absolute beach front of the vibrant seaside shopping precinct of Glenelg. Boasting panoramic views of the ocean, city and Adelaide Hills, the Stamford Grand Adelaide Hotel provides a beachside destination less than 20 minutes from the city centre. This luxury Glenelg accommodation is nestled amoungst the vibrant seaside lifestyle and relaxing atmosphere of the local area. Comprising a range of refurbished hotel rooms spanning over 12 floors, the Stamford Grand has a contemporary design, is superbly appointed and features spectacular ocean/city views. 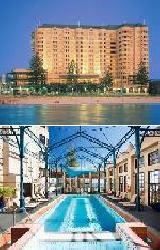 At the Stamford Grand Hotel Glenelg there is also an outdoor heated swimming pool, spa, sauna, fully equipped gymnasium, restaurants, cafe, bar & cocktail lounge. Why stay in the city when you can book a luxury seaside resort close by. For your convenience the Adelaide Motel & Backpackers is ideally located in the heart of the Adelaide CBD and provides the budget conscious traveller with cheap hostel backpacker dorm rooms & hotel accommodation which is some of the most affordable in Adelaide. 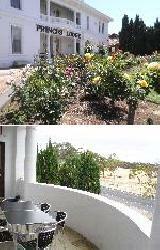 Whether you need to stay in Adelaide for a day or a week, there are rooms to suit all budgets. 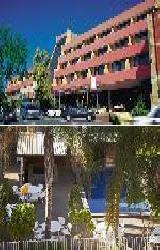 The Adelaide Motel and Backpackers in Adelaide CBD is close to everything that the city has to offer, as well as having a numerous guests facilities and services including lounge bar, direct internet access, faxing facilities, secretarial services, tour desk, atm facilities and even an airport shuttle. The Adelaide Motel & Backpackers positions you just minutes from the dining, entertainment and attractions of central Adelaide. Situated only 2kms from the Adelaide CBD, North Adelaide Boutique Stayz boasts value for money accommodation in a prime Adelaide location. 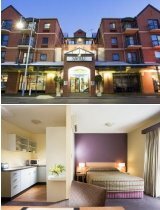 It provides quality, affordable studio and 2 bedroom serviced apartments in Adelaide on a lovely residential street in North Adelaide, right in the heart of the restaurant and tourist precinct of O'Connell Street which boasts great shopping, live entertainment and many family friendly restaurants. There is also a wide range of great bars, nightlife entertainment and tourist attractions such as the Adelaide Oval, Casino, Memorial Drive, tennis courts, art galleries, museums and golf courses within easy walking distance. 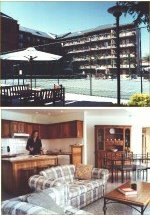 Adelaide Short Stays offers 2 bedroom self contained furnished apartments in the heart of the Adelaide CBD. 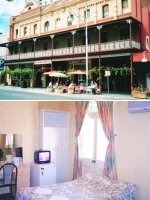 Ideal for the leisure guest or business corporate traveller looking for either short or long term accommodation in an excellent Adeleaide location at an affordable price, the Adelaide Short Stays are situated East End of Adelaide only seconds away from Rundle Street and all its delights. The Adelaide Short Stays in Adelaide CBD is close to everything that the city has to offer, as well as having a numerous guests facilities and services. The Adelaide Short Stays also offers travellers free secure off street car parking on site. The Adelaide Sorrento Meridien Serviced Apartments located only 3.5 kilometres from Adelaide city centre and 6 kilometres from Glenelg Beach. The Adelaide Sorrento Meridien Serviced Apartments provides spacious and well-appointed one bedroom, two bedroom and three bedroom serviced apartments that are ideal for single travellers, couples and families whether visiting Adelaide for business or leisure. This self contained Plympton apartments are perfect for those people who desire Adelaide accommodation with a full kitchen including dishwasher, air conditioning, direct-dial phones, remote control TV, FREE FOXTEL, personal safe and FREE off street parking. Located nearby are restaurants, take away food outlets, banks, supermarkets and shopping for guests convenience. The serviced apartments are close to Morphettville Racecourse and have easy freeway access to Southern Fleurieu Wine regions, Victor Harbour and Kangaroo Island Ferry. The Adelaide Paringa Motel is a National Toursim accredited 3½ star heritage listed hotel and a member of the Golden Chain group of hotels. 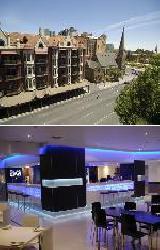 This 43 room non smoking hotel is ideally located in the heart of Adelaide's shopping and business districts. When you stay at the Adelaide Paringa Motel you can enjoy many of Adelaide's favourite attractions which are all within easy walking distance of this discount Adelaide accommodation. The professionally trained staff will greet you with a smile and a genuinely friendly welcome. All of the hotel rooms have high speed internet access and for added convenience there is luggage storage available for early arrivals or late departures. The luxurious Adelaide accommodation provided by the brand new iStay Precinct Apartments is in a style and class of it's own. With excellent hotel facilities and a central city location the iStay Precinct Apartments allows guests the ability to stroll to the endless entertainment venues, cocktail bars and fine dining on Adelaide's famous Gouger Street. The iStay Precinct offers self-contained one bedroom apartments in Adelaide with exceptional design and facilities to ensure your stay is of the utmost quality. The resort style facilities at the iStay Precinct include a heated swimming pool, spa, steam room, sauna, cardio gymnasium, secure undercover car parking, tour desk, business services and security access. iStay Precinct offers the ideal Adelaide accommodation for the discerning corporate client, business or leisure guest alike. The Adabco Boutique Hotel is one of the most recently renovated and refurbished hotels in Adelaide with each hotel room including the latest appliances and furniture. This, combined with the location in the heart of the Adelaide CBD, makes Adabco Hotel the ideal accommodation in Adelaide for the corporate or leisure guest. Set in one of the city's significant heritage listed buildings the Adabco Boutique Hotel and it's attentative staff will ensure that your every need is met during your stay. It is situated close to the Universities, Government buildings and medical centres as well as the famous restaurants and cafes on Hutt Street, Chinatown and the Central Markets. The Adabco Boutique Hotel offers delightful, spacious communal lounge areas and large guest kitchens on each floor. Further hotel facilities include a guest lounge with large TV, pool table and internet computer, guest laundry, 24 hour security, lift, luggage storage, wheelchair accessibility and vending machines. The Comfort Inn Haven Marina is ideally positioned in the Glenelg Beachside precinct of Adelaide and is the perfect place to stay in the city for holidaymakers, groups and sporting teams, as well as corporate business travellers who like a more relaxed atmosphere. The Comfort Inn Haven Marina provides a range of boutique hotel accommodation overlooking the Holdfast Shores Marina and complete with free WiFi internet access. The Comfort Inn Haven Marina provides all types of travellers with discount accommodation in the historic beachside suburb, just a 2 minute stroll to Glenelg Beach. The Comfort Inn Haven Marina also features a wide range of modern amenities and services such as lounge bar, conference centre, direct internet access, faxing facilities, free car parking, guest laundry, pets allowed, restaurant, room service, outdoor swimming pool, tour desk, security access, baby cots for hire and daily housekeeping. It is also located close to the Adelaide airport, Glenelg shopping precinct, the beautiful beach and tram services to the Adelaide CBD. The Adelaide Manor provides leisure and business travellers to Adelaide with a variety of hotel accommodation with a delightful Tudor appearance. This quality accommodation is centrally located on the north side of Adelaide, within a 15-minute drive to Adelaide CBD. the South Terrace Motel Manor Hotel Motel is close to all the Adelaide tourist attractions and activities, including the National Wine Centre, the South Australian Museum, the Art Gallery of South Australia, Rundle Mall, the State Sports Park, Parafield Airport, Tea Tree Plaza, Gepps Cross Homemaker Centre, North Adelaide golf course, Mallala Raceway and historic Port Adelaide. 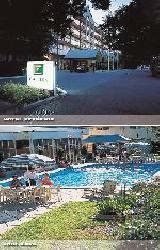 The Adelaide Manor provides all types of travellers with discount accommodation in Gepps Cross. It also features a wide range of modern amenities and services such as lounge bar, business centre, child minding, conference centre, direct internet access, faxing facilities, free car parking, guest laundry, restaurant, room service, spa, outdoor swimming pool, tour desk, 24 hour reception, baby cots available, babysitting service and daily housekeeping. 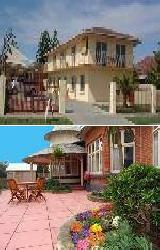 The Adelaide Heritage Cottages & Apartments provides unique Adelaide accommodation that is ideal for holiday and corporate guests alike. It is located throughout the inner city of Adelaide in various locations including Molesworth Street, Tynte Street, Chapel & Sussex Streets, Melbourne Street and Stanley Street. This unique heritage self-contained studio apartments, 1 and 2 bedroom cottages and 3 bedroom townhouse accommodation has been beautifully restored and recognised as amoung the best in it's field. All cottages are cosy, faithfully restored and furnished with a range of fascinating antiques. Facilities and services at the Adelaide Heritage Cottages include delightful landscaped gardens, BBQ facilities and entertaining area, 24 hour reception, cot hire, wireless internet, faxing facilities, free car parking, guest laundry, room service and tour desk. 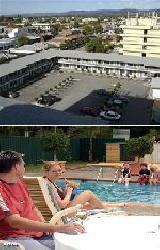 The Jacksons Motor Inn is a clean & comfortable budget motel offering Queen, Triple, Family & Spa Rooms. It is ideally located at bus stop 12 Glen Osmond Road, which is only 10 minutes from the Adelaide CBD. Jacksons Motel in Glen Osmond is positioned just off the South Eastern Freeway and opposite the beautiful Ridge Park Reserve, yet it is still close enough to enjoy the Adelaide Casino, Festival Theatre, South Australian Museum and Parliament House. 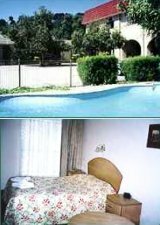 The Adelaide Jacksons Motor Inn is also close to Mt Osmond Golf Course, the Railway Station, Adelaide Airport, University Waite Campus, shops and the post office. The cheap Adelaide accommodation provided by the Jacksons Motor Inn makes it the perfect gateway to the Adelaide Hills region, historic Hahndorf, Glenunga and the Mount Lofty Lookout. 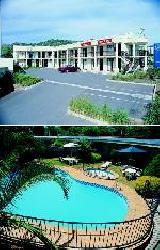 For guest convenience and comfort the Adelaide Jacksons Motor Inn offers a range of facilities and services including a swimming pool, onsite internet kiosk, restaurant, cafe, room service, guest laundry, a children's wading pool, luggage storage, daily housekeeping and free car parking. The Fire Station Inn offers business and leisure guests uniquely designed boutique studio spa suites and 2 bedroom penthouse apartments. The Fire Station Inn is ideally positioned in the heart of cosmopolitan North Adelaide, close to the huge selection of open air cafes and restaurants. The Fire Station Inn is part of the North Adelaide Heritage Group and Fodor's Travel has named the North Adelaide Heritage Group a 2009 Fodor's Choice selection. This distinction recognizes a remarkable achievement, having received this award for the 4th consecutive year. The Fire Station Inn in North Adelaide features rooms that are all self catering and full of exceptional facilities and amenities for the guests staying there. Stay at this luxury North Adelaide accommodation on your next visit and you will be glad that you did. The Adelaide Regent Apartments provide an ideal home away from home for business and leisure travellers staying in Adelaide. These well appointed apartments are situated in a quiet location within an easy walking distance of the Adelaide CBD, restaurants, cafes, shops, parklands and many other tourist attractions. When to stay at any one of the Adelaide Regent Apartments you will get a wonderful feeling of relaxation in the secure outdoor area. These spacious, fully self-contained apartments offer a luxurious and affordable alternative to standard hotel rooms and include fully equipped kitchens, private laundry facilities, free undercover sucurity car parking and terrace style balconies. 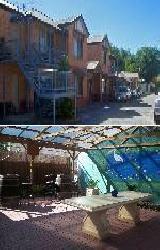 This makes them ideal for long term accommodation in Adelaide. The Welcome Inn 277 is a newly refurbished budget hotel that is centrally located in Glen Osmond, just 4 kms east of the Adelaide CBD. A short 5 minute drive will place you in the centre of the Adelaide city and the renowned King William Road designer shopping district. Welcome Inn 277 Motel Glen Osmond is within walking distance to some of Adelaide's most prestigious restaurants, shopping centres and factory fashion clearance outlets. The Welcome Inn 277 Glen Osmond Road offers exceptionally comfortable hotel rooms with modern amenities amd has been completely redesigned and renovated to ensure that your stay as enjoyable and relaxing as possible. All the guest accommodation rooms are serviced daily, are non smoking and exceptionally clean and comfortable. The Welcome Inn 277 boasts a range of facilities including free on-site car parking, business facilities, guest laundry, room service and tour desk. The Welcome Inn 277 Glen Osmond combines family values and a warm, friendly environment to make your stay more enjoyable. The Comfort Hotel Adelaide Riviera is perfectly positioned on Adelaide's cultural boulevard, North Terrace. This discount Adelaide accommodation is within easy reach of Adelaide's fantastic shopping, dining and night life entertainment. North Terrace is the location of many of Adelaide's major tourist attractions including the Adelaide Festival Centre, Parliament House, the Adelaide Casino, Art Gallery of South Australia and Adelaide Oval Cricket Ground. The helpful Adelaide Riviera staff will be delighted to give you all the information you require to enjoy the unique charm and character of Adelaide. Real value for money motel rooms in a fantastic, central Adelaide location. The RNR Serviced Apartments provides luxury 2 & 3 bedroom self contained townhouse apartments situated in the southern Adelaide CBD. The RNR Serviced Apartments is just minutes walk to Victoria Square, Rundles Mall, Gouger Street and the Adelaide Central Markets. Guests staying in this quality Adelaide accommodation will enjoy close proximity to Adelaide's renowned restaurants in Gouger, Hutt & Rundle Streets, the Central Market and Chinatown. 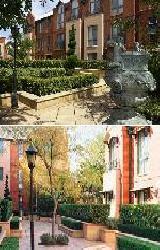 They can also savour the city's history and architecture along the tree-lined streets. RNR Serviced Apartments is located in a quiet side street and offers the perfect option for either the business or leisure traveler. Each townhouse apartment is stylishly furnished and spaciously designed with fully equipped kitchen and laundry facilities, a private lock up garage and ducted reverse cycle air-conditioning which ensures that your accommodation in Adelaide is comfortable throughout the year. The RNR Serviced Apartments is also the perfect base to explore South Australia's tourist destinations including Kangaroo Island, Barossa Valley, Mclaren Vale, Glenelg, Victor Harbour, Clare Valley and the quaint German village of Hahndorf in the Adelaide Hills. The 2 bedroom self contained apartments at the Pacific Apartments Glenelg gives both corporate and holiday travellers exceptional calue for money Adelaide accommodation in the prime beachside position of Glenelg. Positioned close to a feast of restaurants and cafes, trendy bars, entertainment, fabulous shopping and the iconic Glenelg beach the Pacific Apartments Glenelg has something to suit everyone. Each luxury apartment features 2 bedrooms with modern contemporary decor and high quality furnishings throughout, state of the art kitchens and private furnished balconies. Enjoy a secure and private Adelaide apartment complex with plenty of space, comfort and the accessibility of being in the heart of Glenelg. Adelaide's City Park is a boutique style motel offering that special personal touch of genuine hospitality with superior standards of both accommodation and service. The friendly staff take a sincere interest in ensuring that your accommodation in Adelaide is a rewarding and memorable one. Unequalled in value and featuring spacious hotel rooms and a magnificent verandah overlooking the serene Southern Parklands the, City Park Hotel is a tranquil retreat close to the heart of Adelaide. The inner city location of this Adelaide hotel provides easy walking access to major venues, attractions, shopping, nightlife, restaurants, cafes and business district. Whether visiting Adelaide for business or pleasure you will settle comfortably into the peaceful, welcoming environment of Adelaide's City Park Motel. The Sombrero hotel Adelaide is a family operated motel, which takes pride in making its customers feel special from the moment they arrive. The staff are trained to assist you with any enquiry that would make your stay more comfortable. The Sombrero motel Adelaide is rated by the RAA as a four star Prospect hotel. It has undergone a lengthy and stringent process, successfully meeting the criteria to become recognised by the Australian Tourism Accreditation Association. The Adelaide hotel Sombrero have a fully licensed restaurant, which has a changeable menu and enables us to bring to you fresh foods that are compatible with the seasons. Even if you choose to eat in we can do room service. A short walk across from reception, we have a sauna, heated spa and swimming pool which is semi enclosed to enable you to enjoy it any season. The hotel suites are designed to make you feel comfortable containing queen size beds, ensuites, airconditioning/heating, direct dial telephones, data facilities and colour televisions. The property has fully furnished 2 or 3 bedroom Townhouse Apartments that have a fully equipped kitchen with dining room and separate lounge. All os the apartments have ducted airconditioning, their own laundry facilities, it's like a home away from home. Parking is not a problem as there is a large on site car park available and the property is located 6kms out of the Adelaide city, walking distance to a shopping precinct and just a short drive from Gepps Cross sporting fields. Franklin Apartments Adelaide offer a range of contemporary, self-contained, serviced apartments with many hotel style services. This makes the serviced apartments ideal for anyone seeking affordable Adelaide accommodation, regardless of the length of stay. Attractions nearby to these apartments include the Central Markets, Gouger Street - Adelaide's main restaurant precinct, Rundle Mall - Adelaide's main shopping street and Glenelg Beach which is only a 20 minute ride away on Adelaide's historic tram. You can also organise day tours to the Barossa Valley, Victor Harbour, Hahndorf and the River Murray for you. Great value apartments in Adelaide's CBD. The Chifley On South Terrace offers hotel rooms, conveniently located opposite the picturesque South Parklands and a short walk to the heart of the Adelaide city centre. The Chifley on South Terrace offers the ideal place to stay for any visit to Adelaide, whether you are on a business trip, short break or family holiday. The Chifley Hotels central position and award winning hotel rooms makes it perfect place to stay. With views over the hotel's pool and gardens or the beautiful southern parklands this Adelaide accommodation is sure to exceed your expectations. The restaurant is renowned for its imaginative cuisine, complemented by a fine wine selection from South Australia's famous Barossa Valley. Further hotel facilities include 24 hour reception, 24 hour room service, outdoor swimming pool, gym, business centre, wireless internet access, guest laundry, free car parking and tour desk. 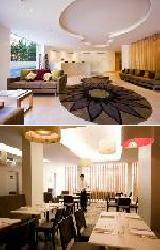 This makes the Chifley on South Terrace one of the most exciting and comfortable Adelaide accommodation hotels. 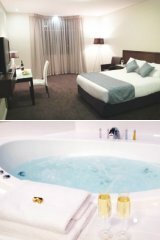 Sferas Park Suites & Convention Centre Adelaide contains luxurious spa suite rooms and is located on civic park just a short parkland walk to the Westfield Tea Tree Plaza in Modbury. The Sferas Park Hotel Suites provides convenient access to the world famous barossa valley wine region as well as deluxe hotel accommodation and state of the art conference & meeting facilities. With the stylish new Mint Bar open for breakfast, lunch and dinner, 7 days a week and more elegant dining in the recently refurbished 1877 Restaurant the Sferas Park Suites & Convention Centre provides all of the facilities and amenities to make your Adelaide accommodation both relaxing and enjoyable. 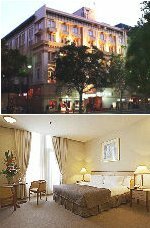 The Plaza Hotel Adelaide is a Colonial estate building which is situated in the heart of the Adelaide CBD. 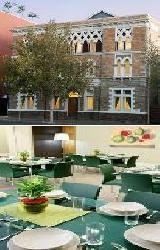 The Plaza Hotel offers great value for money, budget hotel accommodation in an ideal, central Adelaide location. Step out of the door of this affordable Adelaide accommodation and you are surrounded by restaurants, cafes, shops, cinemas, bars, nightclubs and entertainment venues. Also only a few minutes walk away from the Plaza Hotel is the Adelaide Casino, Adelaide Convention Centre, Adelaide Oval Cricket Ground and the Adelaide Suburban Railway Station. The 3-star hotel rooms at the Plaza Hotel Adelaide provides an economical place to stay for those people who are visiting Adelaide on a budget, but still want to stay in the heart of the Adelaide CBD. If you are after luxurious spacious apartments situated in a quiet, leafy location then AAA City Fringe Apartments Adelaide in the lovely eastern suburb of Tusmore is the place to stay. Ideally positioned only 5 minutes from the Adelaide CBD and a few minutes walk to Burnside Shopping Centre these spacious 1, 2, 3 & 4 bedroom Tusmore apartments are fully self contained and include luxury bathrooms, granite kitchens, family room, private alfresco dining and secure car parking. The AAA City Fringe Apartments provides guests with easy access to the Glenelg Tram, Barossa Valley, Adelaide Hills, Clare Valley, McLaren Vale Southern Wine Region, Victor Harbor's Penguin Colony and Whale Watching, Hahndorf, Cleland National Park, Port Adelaide Maritime Museum, Monarto Zoo and the Kangaroo Island Ferry. 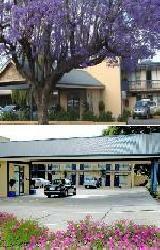 The Tollgate Motel Adelaide provides an vast range of exceptional budget accommodation in Glen Osmond, Adelaide. Ideal for all types of travellers this discount Adelaide motel consists of single hotel rooms, double hotel rooms, twin share hotel rooms, family hotel rooms, spa hotel rooms and even a backpacker dormitory for the truly budget conscious. The Tollgate Motels is situated just 10 minutes from the heart of the Adelaide city centre, within close proximity to the historic townships of the adelaide hills region and close to the south eastern freeway for people arriving or leaving Adelaide. In business for over 20 years the Tollgate Motel Adelaide provides clean and comfortable rooms at very affordable rates. 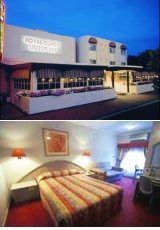 The Royal Coach Hotel Adelaide provides both business and leisure guests with comfortable and affordable 4 1/2 star hotel accommodation near the city centre with easy access to Adelaide's vibrant East End just a ten minute walk through Adelaide's beautiful parklands. The Adelaide Royal Coach Hotel has a restaurant & bar which is open 7 days a week and has 24 hour room service available. 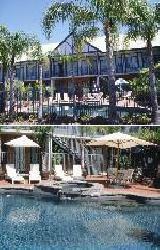 Guests staying in the luxury Adelaide hotel can also enjoy the heated swimming pool, spa and sauna all year round. Located on the Clipsal 500 race track and near National Wine Centre & Adelaide Botanic Gardens the Royal Coach Hotel Adelaide is also just 40 minutes by car to South Australia's world famous Barossa Valley wine district. 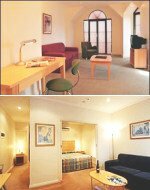 The Esplanade Holiday Apartments is perfect for both holiday-makers and corporate clientele visiting Adelaide. The Esplanade Holiday Apartments West Beach accommodation is within 3 minutes to shops, supermarkets and a number of restaurants and hotels as well as being close to Henley and Glenelg which offer a wide range of eateries including restaurants, hotels, cafes and takeaway shops. The Esplanade Apartments provides guests with a choice of 1 & 2 bedroom self contained beachfront apartments in one of the most popular beach suburbs of Adelaide, West Beach. The Esplanade Holiday Apartments are literally located on the beach and are also just 15 minutes to the Adelaide CBD, 5 minutes to Glenelg and 5 minutes to the Adelaide Airport. 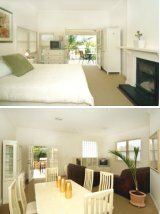 This accommodation in West Beach is situated adjacent to a children's playgrounds and the Henley Sailing Club. Adelaide International Motel offers budget motel rooms that are perfectly located in the Adelaide beachside suburb of Glenelg. Offering quality, affordable hotel rooms only 1km from the heart of Glenelg, the Adelaide International Motel is close to the fabulous beach, Jetty Road shopping and tourist area, restaurants and cafes. 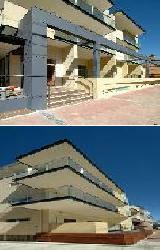 The Adelaide International Motel provides all types of travellers with discount accommodation in Glenelg. It also features a wide range of modern amenities and services such as lounge bar, conference centre, direct internet access, faxing facilities, free car parking, massage, restaurant, outdoor swimming pool and daily housekeeping. Corporate and business guests are also catered for with Wifi access in all rooms, faxing facilities, photocopying service and conference facilities. The professional friendly staff are only too pleased to help to maker your stay enjoyable. The city of Adelaide and the surrounding Hills region has many different places that are ideal for long or short term stays including the Hotel 208 Adelaide, Hotel Adelaide International, Regal Park Motor Inn Adelaide, Adelaide Myoora Boutique Hotel, Hotel Richmond Adelaide, Hilton Adelaide Hotel and the Norwood Bed & Breakfast Accommodation. In order to book in at these or any of the other hotel accommodation in Adelaide then click here to make an enquiry.